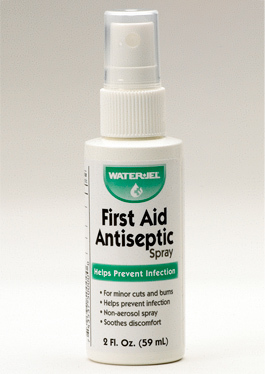 Water Jel Technologies - FIRST AID ANTISEPTIC SPRAY BOTTLE 2 OZ. 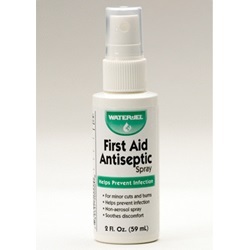 FIRST AID ANTISEPTIC SPRAY BOTTLE 2 OZ. Non-sting first aid antiseptic spray contains Benzalkonium Chloride (0.13%) to kill germs and help prevent infection in minor cuts, scrapes and burns.